A new method for quickly detecting signs of multiple sclerosis has been developed by a University of Huddersfield research team. The process will avoid the invasive, painful process of collecting fluid from the brain and spine. The discovery, using advanced mass spectrometry techniques, offers a diagnostic tool that enables the detection of multiple sclerosis (MS) to be made simply using blood samples. The current procedure for detection requires the invasive, often painful, process of collecting fluid from the brain and spine. The research has identified two natural biomarker compounds, which have been linked to multiple sclerosis. The compounds, sphingosine and dihydrosphingosine, were found to be at significantly lower concentrations in blood samples from multiple sclerosis patients. As well as offering a diagnostic tool to identify MS, the discovery will aid the investigation of the role of the compounds in the disease and assist potential new drug development, according to a new research article co-authored by Sean Ward, who is an analytical chemist and PhD student based at the University of Huddersfield’s IPOS unit. “Sphingosine and dihydrosphingosine have been previously found to be at lower concentrations in the brain tissue of patients with multiple sclerosis. The detection of these sphingolipids in blood plasma allows the non-invasive monitoring of these and related compounds,” it stated. The project was an element of Sean Ward’s now-completed doctoral research – supervised by the University of Huddersfield’s Professor Michael Page and Dr Nicholas Powles – in which he explored the analytical potential of chemometric software, in particular the package named Mass Profiler Professional (MPP), supplied to IPOS by Agilent Technologies. 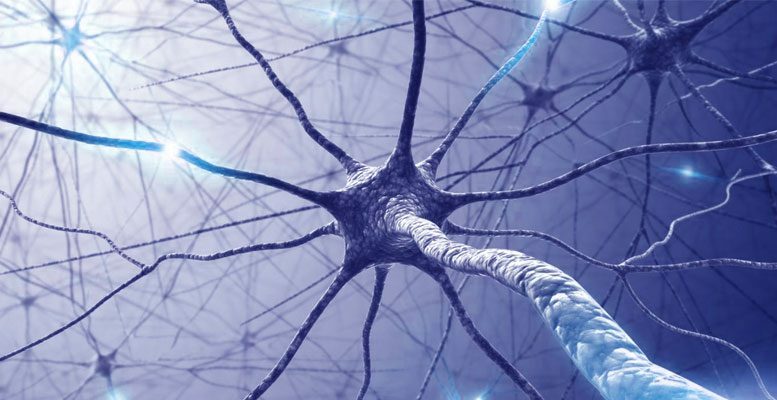 The opportunity to investigate molecules implicated in multiple sclerosis arose because Dr Patrick McHugh, who directs the University of Huddersfield’s Centre for Biomarker Research, has expertise in biomarker development and has set up several clinical cohorts including MS, that have been adopted to the NIHR Clinical Research Network. He wanted to explore the molecular changes in blood that may differentiate disease states for potential diagnostics. An additional dimension to the research was analysis of plasma samples from patients with neuropathic pain (NP), some of whom also had MS. Also tested was serum from MS patients with no NP. The metabolomic profiles for each disease state were identified and there are clear indications that the three groups share similar biomechanical mechanisms. “The ability of MPP software to determine differences between disease groups and control groups quickly and easily was tested,” concludes the article. Sean Wards adds that IPOS – based in the University of Huddersfield’s Page Laboratories – is finding a wide range of uses for the Agilent package. These include the identification of the origin of gelatin – whether bovine, porcine, chicken or fish which is very important for some cultures and religions. Be the first to comment on "New Blood Sample Detection Method for Multiple Sclerosis"